DAVID LE/Staff photo. 2/11/15. 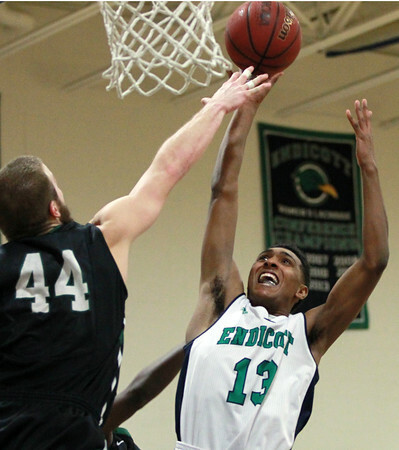 Endicott College sophomore guard Stephen Basden (13) drives hard to the hoop and sinks a layup over the block attempt from Nichols senior forward Joe Gallant (44).